With the widest range of device choices, Windows device can reach all grade levels. Windows tablets are great for consuming content for K-3 learning their ABCs. Windows laptops starting at $239, are great for creating content and collaborating in Office 365. With the same operating system across all form factors students don’t need to learn a new one as they move up in grades. 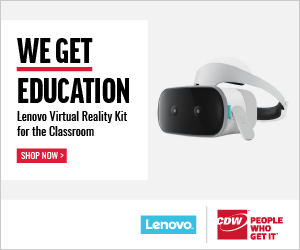 Windows is compatible with the widest range of connected devices in the classroom, from printers to cameras to digital microscopes, as well as with traditional and new educational resources, from websites running on Flash to interactive digital textbooks. 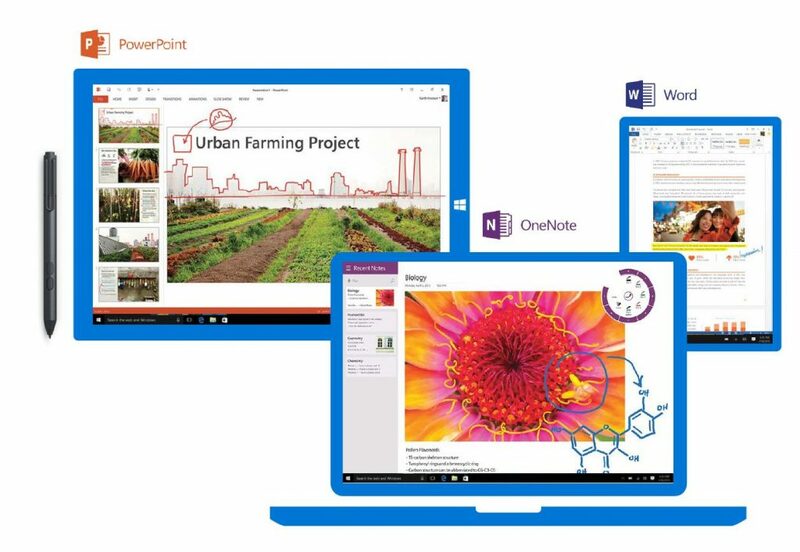 Windows offers a premier inking experience across devices and applications that engage students and enhance their learning. 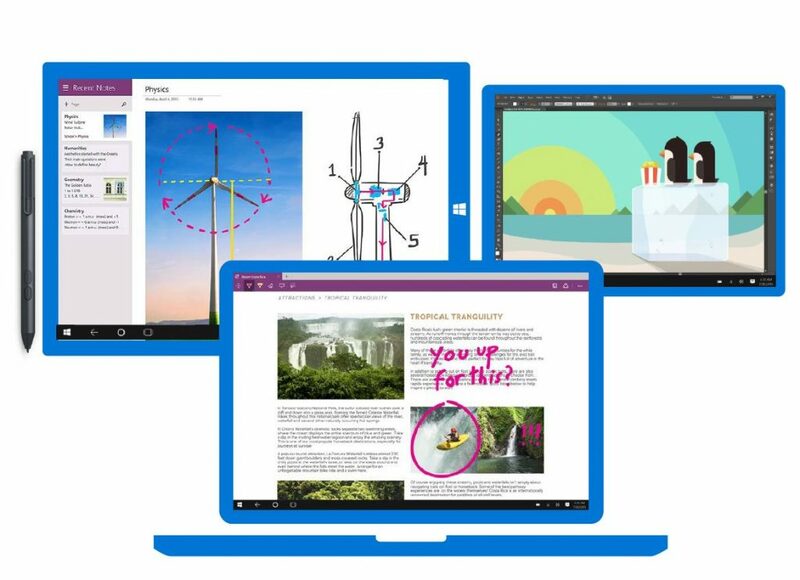 Students and teachers can easily mark-up webpages using Microsoft Edge—the only built-in technology available for tablets and PCs that lets you write or type directly on webpages. Windows runs on the largest range of devices. 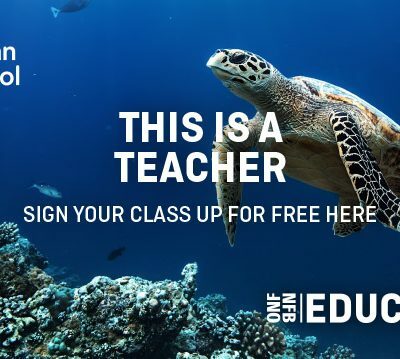 Choose from web, mobile, and desktop version of apps that allow for a dynamic classroom, and encourage collaboration, creativity, critical thinking and communication skills, such as OneNote, OneDrive, and Office 365. Students can work on the same documents at the same time within the same classroom, or from different parts of the world. Windows provides the right device for the right need. Our range of great devices and learning technologies allow teachers to reach students with a range of learning styles and abilities. Kinetic Learners can learn by using touch and pen input. Audio Learners are supported as all audio files run on a windows device. Solitary learners can unplug and sit in the library while continuing to consume and create content as Windows devices runs both online and offline. Teachers can crease inclusive classrooms with Windows’ assistive technologies—widest array available. Windows 10 delivers powerful new ways to protect the identities, data and devices of teachers and students.